Gloria González Fuster is a Research Professor at the Vrije Universiteit Brussel (VUB)’s Faculty of Law and Criminology. Member of the Law, Science, Technology and Society (LSTS) Research Group and of the Brussels Privacy Hub (BPH), she investigates legal issues related to privacy, personal data protection and security, and teaches ‘Data Policies in the European Union’ for the Data Law option of the Master of Laws in International and European Law (PILC) of the VUB’s Institute for European Studies (IES). Her academic background encompasses Law, Communication Sciences, and Modern Languages and Literature. Seda Gürses is currently an FWO post-doctoral fellow at Computer Security and Industrial Cryptography (COSIC) in the Privacy Technologies Team at the Department of Electrical Engineering University of Leuven. Prior to that, she was a fellow at the Center for Information Technology and Policy at Princeton University, at the Media, Culture and Communications Department at NYU Steinhardt and at the Information Law Institute at NYU Law School. In her research, she studies conceptions of privacy, requirements and software engineering, optimization systems and algorithmic discrimination. After many years of collaboration, she finally became a member of the feminist artist collective Constant VZW. Jo Pierson is full-time Associate Professor in the Department of Media and Communication Studies at the Vrije Universiteit Brussel (VUB) in Belgium (Faculty of Economic and Social Sciences & Solvay Business School). He is part of the research centre SMIT (Studies on Media, Innovation and Technology) since 1996 and holds a PhD in Social Science since 2003. In the past he has worked as researcher-advisor for the Dutch knowledge institute TNO in Delft. In his current position as senior researcher and executive committee member in SMIT, he is in charge of the research unit 'Privacy, Ethics & Literacy’, in close cooperation with imec (R&D and innovation hub in nanoelectronics and digital technology). 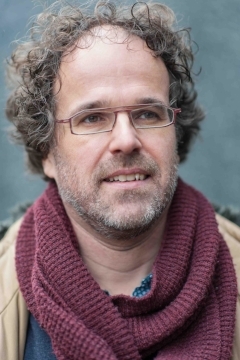 He lectures undergraduate and postgraduate courses at Vrije Universiteit Brussel, Hasselt University and University of Amsterdam, covering socio-technical issues of digital media development and use. Drawing upon media and communication studies, in combination with science and technology studies, his interdisciplinary research focus is on data, trust, privacy, public values and user empowerment in media technologies. He is also elected member of the International Council of the International Association for Media and Communication Research (IAMCR). Marleen Wynants has a M.A. in English philology and a M.A. in Social Studies, KULeuven. She started out as a content developer for the official Belgian Radio and Television in its pre-commercial stage. 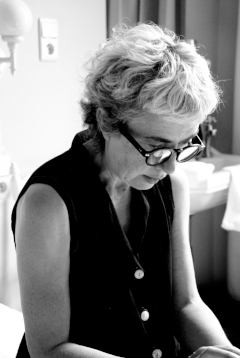 While writing freelance on music and arts she ran the post-punk magazine Fabiola together with Jan Vanroelen, both leaving the scene in 1988, the year Hillel Slovak, Chet Baker, Divine and Sylvester died. From the start of her company Nux Publica, she authored children books, short stories and numerous articles on arts, sciences, gender, whistleblowing and the impact of digitization. She was a regular contributor to Wired EU and to Janus, the magazine launched by Jan Fabre. Since 2003 she directs Crosstalks, the transdisciplinary exchange platform at Vrije Universiteit Brussel. Crosstalks links academic and corporate research to art, architecture, design and activism. The Crosstalks' writings and actions explore freedom and wellbeing for all without undermining humanity and nature. She’s a member of the Board of Directors at Kaaitheater since 2012. Since September 2017 she coordinates STAL, a pre-trajectory initiative for a Sciences, Technology and Arts Lab in Brussels, a joint project by BOZAR, VUB and ULB.